We’ve happily made it to Portland! We are here for a whopping 10 days, which is the longest we’ve stayed anywhere since we started this trip. We’re staying at the Columbia River RV park, which is on the north end of Portland but only a short drive (without traffic) into downtown. 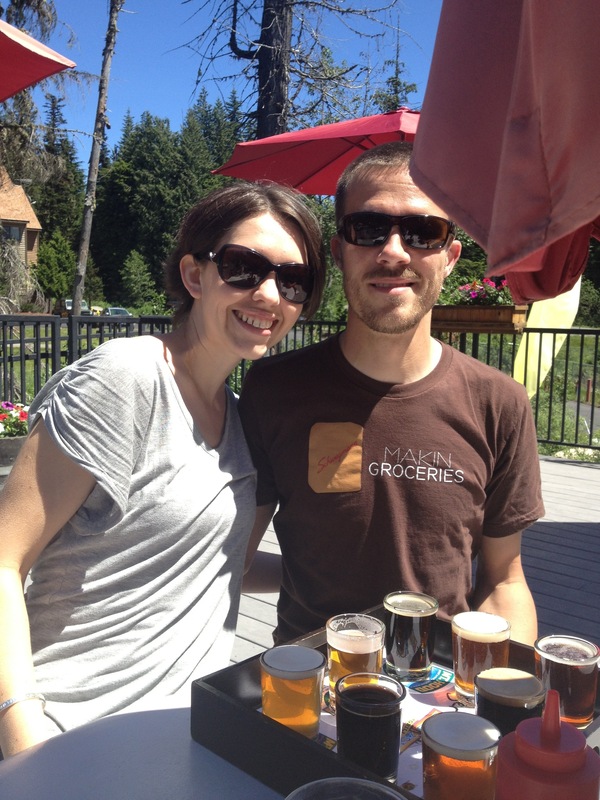 And we have a very good reason to be in Portland – my little brother is getting married next weekend! We arrived in Portland on Friday, and picked up my sister’s husband Rob at the airport that night. We went out to dinner with my brother Brandon and his sweet fiancee Cassie, and then the next morning the boys left for my brother’s “bachelor party” – a 3-day backpacking trip. So, for the first time, I’m alone in the RV. It’s a little more quiet around here, but it’s given me lots of nice time to clean, watch what I want on TV, and read in bed as long as I want without being told to turn off the light! And Deas took Jake with him on the trip, so I only have two dogs to walk. 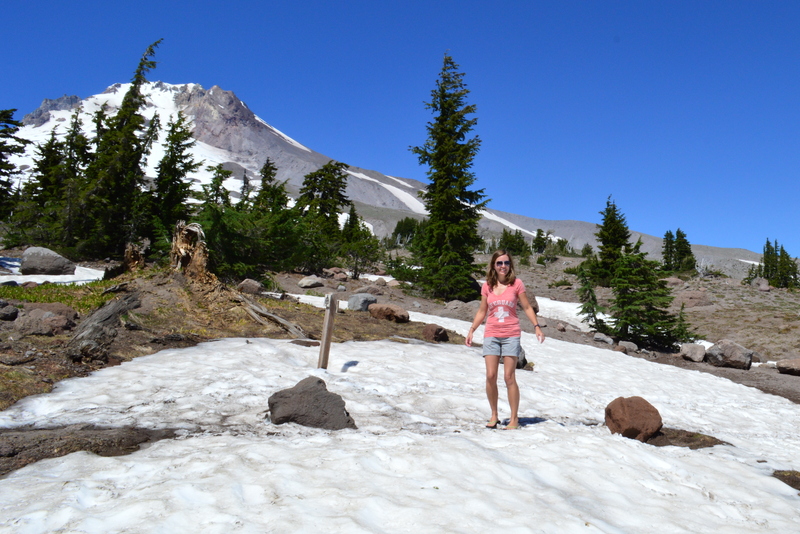 Before we arrived in Portland, we spent a few nights in Mt Hood at the Mt Hood Village RV Resort. It’s a lovely private park that looks more like a state park. 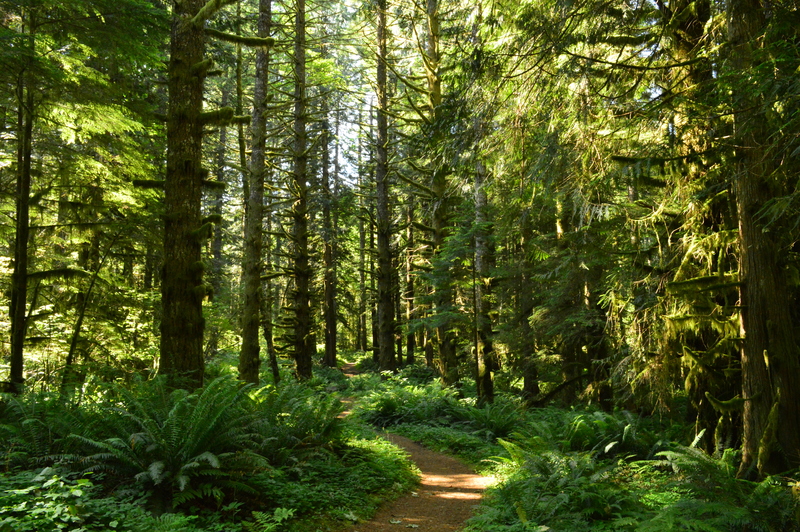 The sight we were in was very wooded, and backed up to a great hiking trail. We were told that it was going to get really crazy and crowded over the weekend (July 4th), but we only had one RV next to us and it was actually pretty quiet. We had the unexpected surprise of running into some fellow RVers/bloggers – the adorable and fun Jason and Nikki Wynn of Gone with the Wynns. Jason and Nikki’s website is awesome and they have a ton of great information on their site. We have been following them for a few years so it was great to run into them. We had so much fun hanging out and I hope that we will see them again soon! 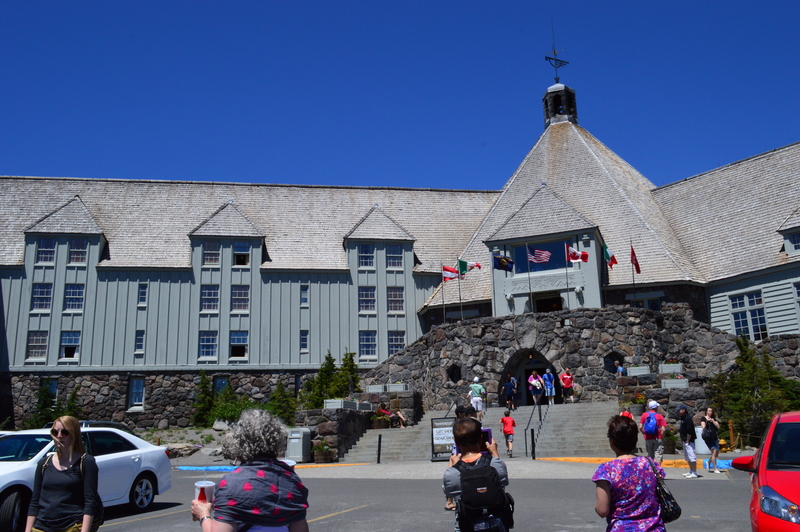 One afternoon Deas and I drove up to the Timberline Lodge, which is about 20 minutes from the RV park. Timberline is the only ski resort in the country that offers year-round skiing, and the exterior was the hotel in the movie The Shining. 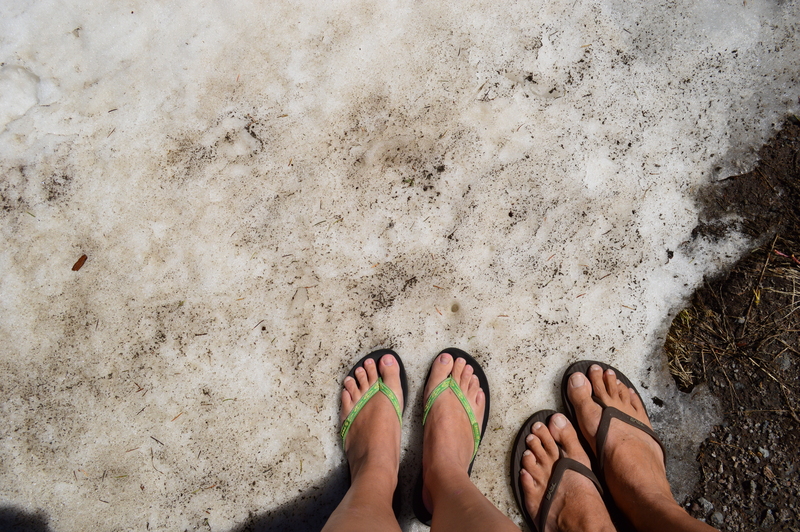 It was so much fun to walk in the snow in flip-flops! 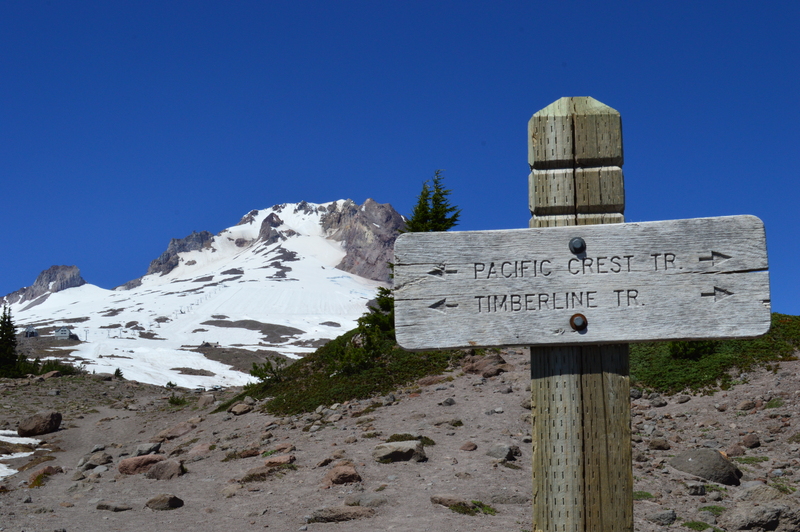 The Pacific Crest Trail crosses right through the property, so now I can say I hiked the PCT. Even if it was only for about 50 feet. Deas offered to take a few pictures of me walking on the snow. I’m pretty sure he was just hoping I would slip on the snow and fall down so he could catch it on camera. The next day Brandon and Cassie drove up to have lunch with us, and then we did a little beer tasting at the Mt Hood Brewery. It was a gorgeous day to sit outside and enjoy the sunshine. 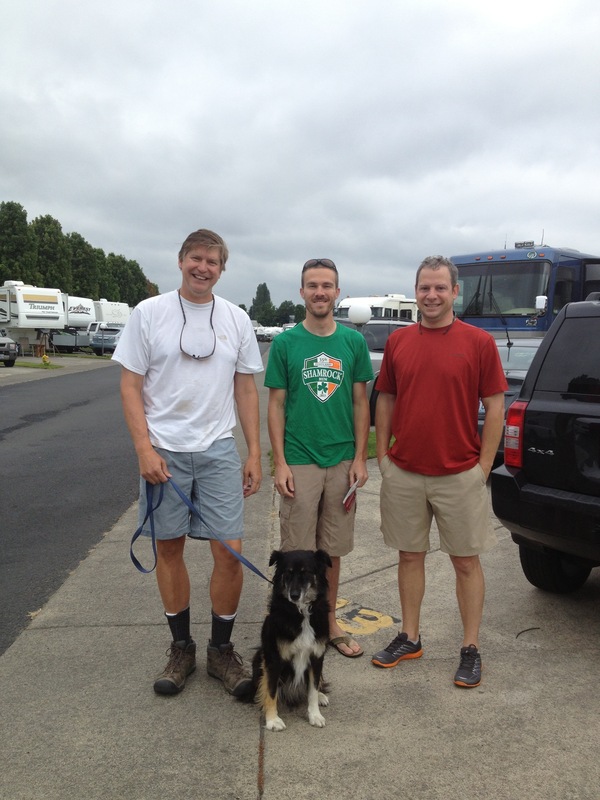 Deas, Rob and Brandon return from their backpacking trip tomorrow, and the rest of my family arrives tomorrow night. We’ve got lots of fun stuff planned for the rest of the week leading up to the wedding. I’m really excited for all of us to be together for several days! 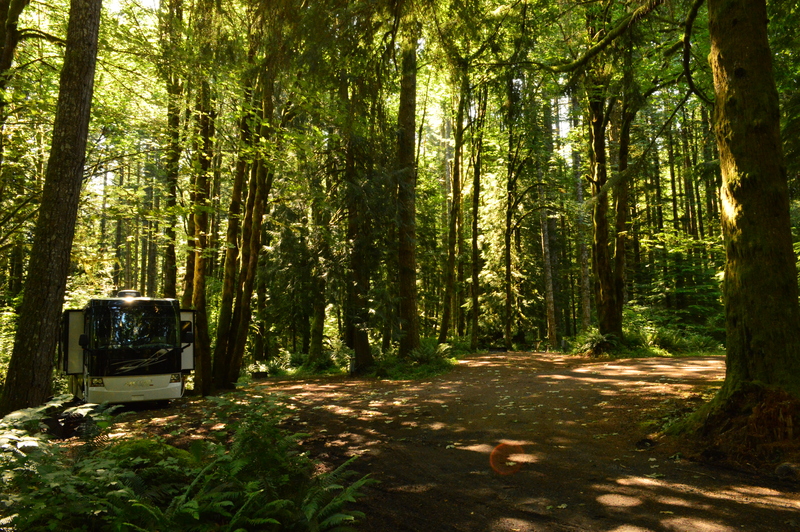 This is our 2nd trip to Oregon, but the first in the RV. There’s so much to see I think we’ll be here for almost all of July! Have fun on your trip! Thanks for posting pictures of your campground. We are heading that way in the fall and may have to give it a try. The park had very mixed reviews, and we were a bit apprehensive, but in the end we really liked it. And I think on a non-holiday weekend it would be even better! The loop we were in was water/electric only, but they also had full hook-ups spots that backed up to a river that were very nice. 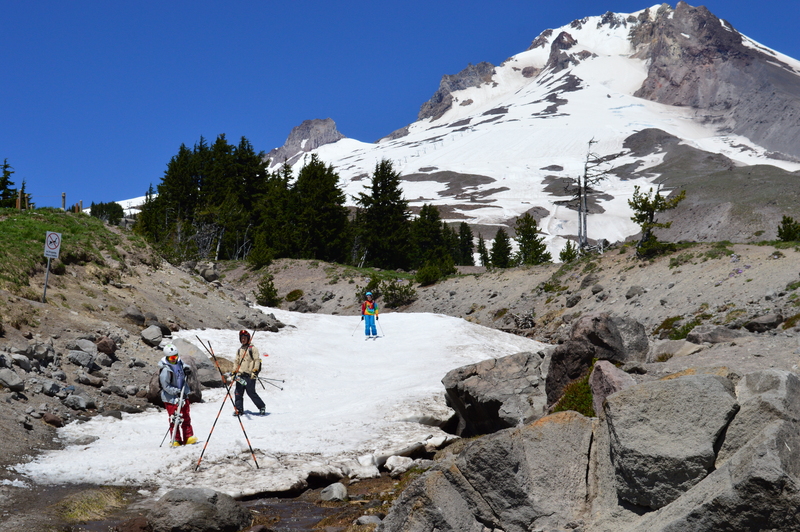 If you want to be close to Mt Hood, it’s probably your best bet. What a neat site in the trees at Mt Hood. Looks like it was a bit of a tight fit! So glad you had a trail right outside your door! Enjoy your time alone! It WAS a tight fit – and it had a really weird angle. It was probably our most challenging parking job yet – thank goodness no one was around to watch us when we were trying to get it in there!